After months of preparation and planning it was finally time. We loaded up and set off in convoy. It took the entire MBS fleet to get us and all our kit to Blenheim Palace where the CLA Game Fair 2008 was taking place. 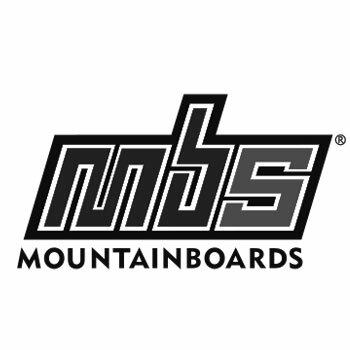 We would be doing our Big Air Show with the MBS Pro Ramp and Team. On top of that, we would be running a Hire and Ride operation alongside the ramp. This gives us the opportunity to capitalise on the enthusiasm created by our ramp show and get people to try out mountainboarding. Our aim is to get more and more people from all walks of life into the sport. 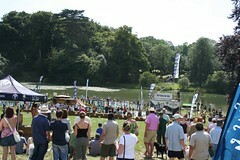 The massive crowds of the CLA Game Fair are the perfect opportunity. The drive is steady. Towing a massive trailer limits our travel speed to around 60mph. Once we get there and sort our event passes out it is time to set up. The team have got this down to a fine art now. Within a few hours we are set up. Fat Face, who sponsor the Pro Ramp were there to support us too. They brought a load more banners and signage too. After setting up the ramp and hire and ride area, we set up camp down by the river. Friday morning at 8am we were woken up and lept (very slowly) into action. The gates open at 9am and we had to set up. All the boards and pads for the hire and ride had to be prepared and cups of (very expensive) coffee had to be drank. On top of that the ramp needed health and safety checking. The sun was out and strong already. The shows all went down really well. There were good crowds and it was a beautiful day and a beautiful setting. The hire and ride had a steady flow of kids coming through, as well as the occasional older kid. It was a very hot weekend. Before you knew it, we were all sun burnt (some mad tan lines on the backs of our legs), and were very thankful when Fat Face found an extra tent to provide the Hire and Ride team a little shade. The Pro Team were struggling a little with the heat too. Wearing pads whilst climbing up the ladder is very hot work. The long weekend flew by. We taught hundreds of people to mountainboard, the shows went down a storm, the weather was beautiful, and we had a great spot down by the river. 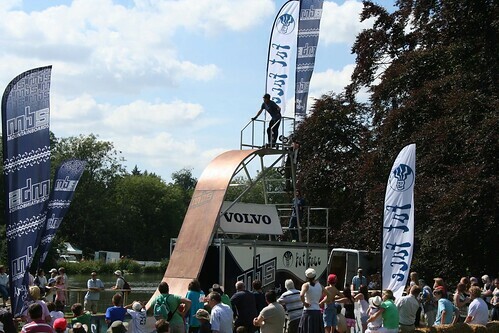 See more photos of the MBS Pro Ramp at the CLA Game Fair 2008.